Academy Award nominated Frankenweenie tells the story of a boy called Victor who brings his beloved dog Sparky back-to-life. To celebrate the Blu-ray and DVD release of Frankenweenie, we take a look at other famous Academy Award nominated or winning films where characters are brought back-to-life. Victor Frankenstein lives with his parents and dog Sparky who is his best friend. Concerned with his son's isolation, Victor's father encourages him to take up baseball. Victor hits a home run at his first game, but Sparky is killed by a car pursuing the ball. Inspired by his science teacher Mr. Rzykruski's demonstration of the effect of electricity on dead frogs, a depressed Victor digs up Sparky's corpse and successfully brings him back-to-life with lightning. When Sparky escapes from the attic the whole town faces the unexpected and electrifying truth of what happens when monstrous experiments run wild. Academy Award nomination for ‘Best Animation’. Interview with the Vampire is a debut gothic horror and vampire novel by American author Anne Rice. It tells the 200-year-long story of a vampire called Louis. Louis was a young plantation owner but following the death of his brother he becomes distraught and seeks death in any way possible. He is approached by a vampire named Lestat who offers him the chance to become a creature of the night: a vampire. Louis accepts, and Lestat drains Louis' mortal blood and then replaces it with his own. Louis must learn from Lestat the ways of the vampire. Academy Award nominations for ‘Best Art Direction’ and ‘Best music’. E.T. tells the story of Elliott, a lonely boy who befriends an extraterrestrial, dubbed E.T., who is stranded on Earth. Elliott and E.T. soon become best friends and as they get closer Elliott finds he is telepathically linked to the alien. Not only that, but he discovers E.T. has other alien skills - he levitates balls and is able to revive a dead flower. However, due to being away from his home planet, E.T. begins to get deathly ill and this results in Elliott getting sick too. Elliott ends up living but E.T. dies. Remembering the flower, Elliott gives it to E.T. and he is able to use the powers from the flower to be revived just in time to make it back to his home planet. Young scientist Heinrich Frankenstein and his devoted assistant Fritz, piece together a human body from parts of which have been secretly collected from various sources. 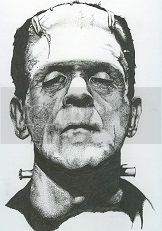 Frankenstein's consuming desire is to create human life through various electrical devices. He succeeds in his task but the creature turns into a monster when Frankenstein rejects him. Sticking close to the original novel, Kenneth Branagh guides us through the story of Frankenstein's quest for knowledge and his creature's search for his "father". Academy Award nomination for ‘Best Make Up’. This 2010 fantasy-adventure film is based on the third novel of C.S. Lewis's epic fantasy series The Chronicles of Narnia. Set three Narnian years after the events of Prince Caspian, the two youngest Pevensie siblings, Edmund and Lucy, are transported back to Narnia along with their cousin Eustace Scrubb. They join Caspian the new king of Narnia, in his quest to rescue seven lost lords and to save Narnia from a corrupting evil that resides on a dark island. Each character is tested as they journey to the home of the great lion Aslan but it is Aslan himself that makes the biggest sacrifice as he must give up his own life to save Edmund when the Witch demands his blood. Academy Award nomination for ‘Best Costume’.